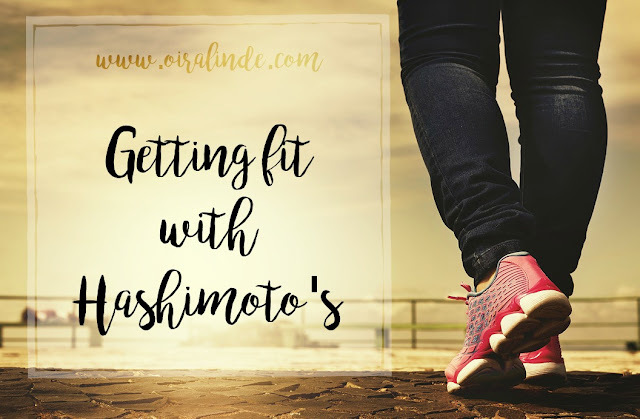 You might be reading my series but not have Hashimoto's yourself. Perhaps you have a friend, a wife, a sister, or a mother with Hashimoto's and you want to know what you can do to help. Here is a list of a few ways to support someone with Hashimoto's. A quick text is all it takes to make someone know you are thinking about them. Depression is common for those with Hashimoto's and it is lonely. Taking just a little time out of your day to see how your loved one is doing can mean the difference between a horrible day and a good day. If we cancel on you last minute, be patient with us. Most likely it has nothing to do with you and everything to do with feeling like poo. We want to hang out and do things, but sometimes our bodies don't let us. Please don't write us off. Be patient and willing to reschedule. PLEASE! We need time off badly. This is the #1 thing I wish people would do for me. Taking just one kid off my hands will lighten the load exponentially. My husband is very good about taking the kids away when I need him too. I am bad about asking. Sometimes I just want to take a nap and the kids won't let me, but my husband comes to the rescue and lets me sleep in peace. If we are having a flare-up and we can't get out of bed, getting take-out will only make us feel worse because of the food choices. If you want to be extra generous, bring over a healthy home-cooked meal. My husband is gaining kitchen skills and can do simple meals. I try to have things prepped in a way that if I need him to, he can finish the meal if I just can't complete it. Sometimes dinner prep is like climbing Mount Everest and I feel like I will never get to the top without crashing. Working out is an important way to help Hashimoto patients feel better. Having a workout buddy makes it more fun and easier to stick to it. Let's go for a walk together a couple times a week or take a dance class together. I am doing karate with my older two kids and I love having them with me. They don't let me chicken out and they don't let me say, "I'm too tired tonight." Sometimes I am tired, but having to take them to karate gets me there too. I get sicker than a healthy person. Whenever someone brings in a sickness to my house, I end up the sickest for the longest amount of time. Matthew ends up having to take time off work because I can't take care of the kids, so it effects the entire house when I get sick. I try to teach my children proper hygiene so that they can keep bugs at bay. Wash your hands as soon as you get in the door, before every meal, after every trip to the bathroom, and after finishing chores. 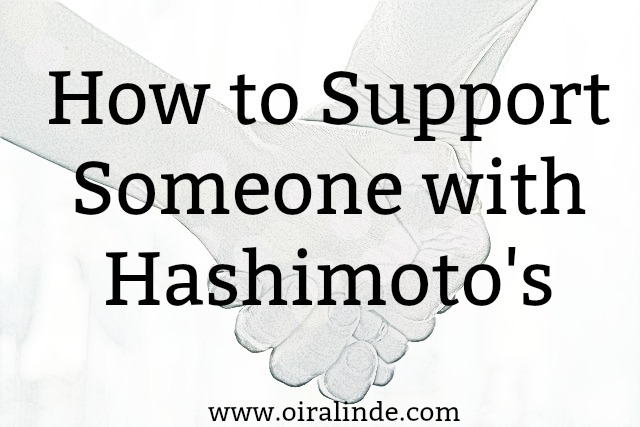 These are just a few ways you can support a loved one with Hashimoto's. The best way to support them is to ask them what they need. Perhaps they would like someone to come weed their garden or they need a shoulder to cry on. Ask and you might be surprised to find out that what your friend needs is you!